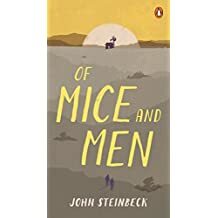 I am reading Of Mice and Men by John Steinbeck this week. It is a short read and I had not read it since high school (almost 20 years ago! ), so it has been nice to revisit this great book. **I will say I have a totally different view on the book now that I am a mother. There are a lot of curse words and racial slang terms that I must have forgotten about! This week we played Rat-a-tat-cat and Long Cow. I had intended to paint the stairs last week, but we had a family emergency, so that project has been pushed to this week instead. This week I tried out Peace Love and Low Carb’s Chicken Alfredo Waffle Pizza recipe (delicious!) **I will write up a blog post containing my edits to the recipe, but overall it was strangely delicious and really easy to make! How are your New Year’s Goals going? ?